Seriously awesome, completely free last minute gift idea - Lovely Etc. This is one of the best gifts I have received in a very long time. My birthday was just a few weeks ago at the beginning of December and my husband gave me an amazing birthday gift. It is free and takes no prep and is perfect. We are a pretty modern couple, so I am not in charge of all of the house cleaning by any means. It is a shared responsibility. However, he could honestly care less if there are dishes in the sink or junk all over the counters. And he would probably be plenty happy keeping all of his clothes in an unfolded mound rather than neatly folded in a drawer. I, however, would not be so happy with that. I am by no means a neat-freak, but I do like to have things tidy. When I look around and see mess and clutter everywhere, I find it nearly impossible to relax. In our nearly ten years of marriage, this has been a major point of contention. So what was the gift? He gave me the gift of a clean house. Not like a clean house that day – a clean house for the rest of the year! Now granted the rest of the year was only three weeks but still. Talk about an amazing gift. He told me that he wants me to be able to relax and enjoy the holidays this year. So he will be in charge of all of the cleaning – even the parts that are usually my responsibility. It has been a week and a half so far. And it has been amazing! I not only do not have to do any cleaning, I have been given orders that I am not allowed to clean. I haven’t relaxed so much in years. 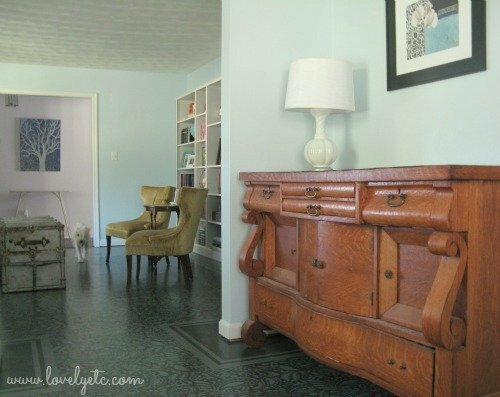 Plus I actually get to come home to a clean house every single day – something that is usually a pretty rare occurrence. The thing I really love about the gift is that it shows how much hubby was thinking about me. He didn’t just grab something off the shelves at Target – he thought about what would really make me happy. If you know anything about the five love languages, you know there are five ways people feel love: quality time, acts of service, gifts, physical touch, and words of affirmation. I am not a huge gifts person but quality time and acts of service are really important to me. I feel loved if someone spends time with me or does something nice just for me. So this gift was seriously perfect and makes me feel all warm and fuzzy inside. My husband’s top love language,on the other hand, is physical touch. Totally opposite. I have a pretty fun stocking stuffer for all the physical touch loving spouses out there. And if your spouse is a words person, you may want to consider something like this Things I Love About You book. Or perhaps the gift of a year of dates for the quality time folks out there (like this one from Somewhat simple). Seriously awesome gift right? Anyone else out there dealing with a messy spouse? And do you know your love language (and your spouse’s)? If not you can take a free online test. That’s such a wonderful gift! He’s a keeper! I always say “it’s the little things” and “it’s the thought that counts”. And I really believe that. Relax and enjoy your gift. Definitely a keeper! And I 100% agree. I care so much more about the thought behind a gift than the actual ‘item’. 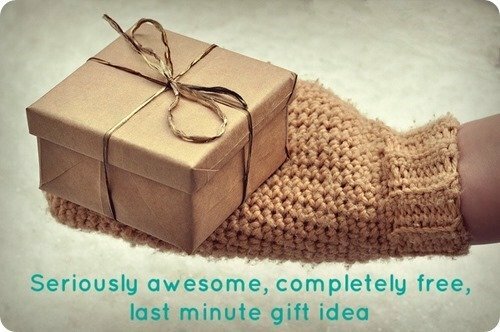 Wow, I would totally love this gift! My love language exactly…and my husband is physical touch as well. We read The 5 Love Languages a few years ago and it totally helped our marriage. Understanding how we give and receive love is so interesting. Great article. Ha. I think I’m going to send it to my husband. It has been wonderful. I really love the 5 love languages book. We read it before we got married and again a few years ago. It really is such a great reminder of how different we each are. That is such a thoughtful and kind gift for him to give you! It’s easy to see that he knows you well!